Are your dog's manners not up to scratch? Do you think he/she has some behavioural problems? We can assist you in improving your dogs basic obedience skills, address any dog behaviour problems you might face, from excessive barking, lead pulling, antisocial behaviours, food aggression and more. We can help your dog to be calm and confident in real life situations. Aggy Ager is a certified dog trainer and animal behaviourist, holding a National Dog Trainers’ Federation of Australia - Certificate III in Dog Training & Behaviour. 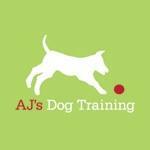 Certified Puppy Class Instructor by Steve and Vicki Austin Animal Training & Consultancy.